The main fabric is a linen/cotton blend called Ghost Wing by Anna Maria Horner. The dotty fabric on the side is an oldie but a goodie called County Fair by Denyse Schmidt. You can still find it around online if you look for it. I used Pellon SF101 on all of the exterior pieces as suggested in the pattern. I forgot how long bags can take to make. For some reason, they feel like a 1-2 hour project. Not! This one took me about six hours (with Mama/kid stuff inbetween). Maybe longer? I started cutting and fusing last night and stitched all day today. Normally this isn't a problem, but I've got packing to do! Speaking of Quilt Market, I will be posting pictures onto Instgram and Facebook as I go. You can find links on the top right hand side of the blog. 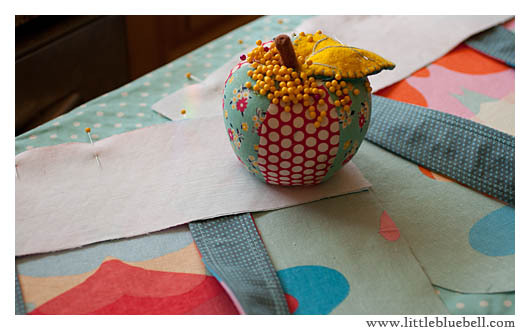 I've been looking at all the totes people have done in her pattern. Yours is a fave in that butterfly print. I had a hard time choosing what to order out of that line and cannot wait to get my feathers in the mail! It turned out fabulous Adrianne! Have a blast at mariet! 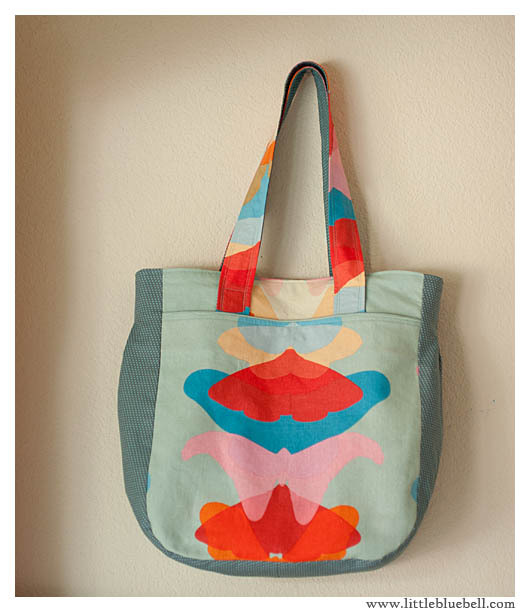 I'll be making this tote while you are there. it's so pretty. great job!!! and have fun at market. yippy! 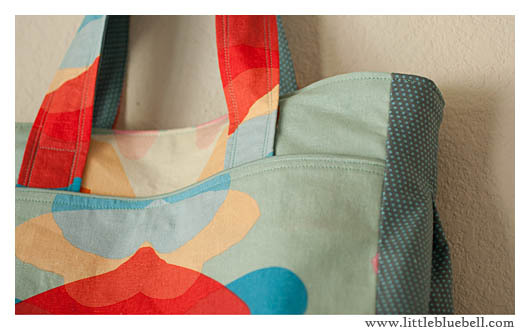 So pretty - that fabric is perfect for a bag. I also never budget in enough time for bag making. Have a great trip! I love the butterfly bag. Gail at Probably Actually just made one like this! It's almost like that print was made for this bag.